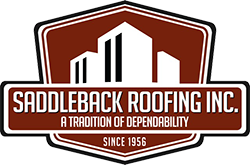 Since its inception in 1956, Saddleback Roofing has been built on a commitment to excellence. This commitment is evident in every aspect of our business, from our estimators and administrators, to our production team. 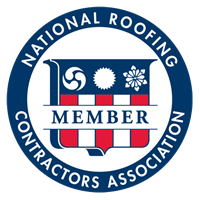 We take great pride in the dedication and professionalism that drives us to new levels of success and excellence in the roofing industry. We require the highest standards in workmanship, materials, and safety. We provide best practices and are dedicated to customer service. Our roofing crews are trained in roof installation and safety. 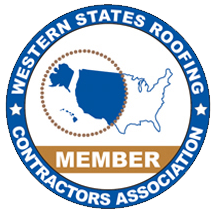 Our workplace is your roof and our safety program exceeds all industry standards. Saddleback Roofing offers roofing history and recommendations for future roofing projects that include before/after photos of your roof and proposal summaries. Asset Management provides extensive roof surveys, roof life expectancy models, and return-on-investment analysis for roof repairs, evaluations, and/or roof replacements. Saddleback Roofing works from one extreme to the other, by managing major roofing projects such as the Honda Center in Anaheim, CA and the Los Angeles Forum Arena, as well as Ralph’s, Von’s, and Stater Bros., to maintaining and repairing many well-known restaurant and hotel chains, such as Applebee’s Restaurants, Hampton Inns and Marriott hotels. Please feel free to contact any of our existing customers and/or material suppliers at your convenience. We are confident that they will provide you with a favorable reference regarding their experience with our business. Saddleback Roofing offers stellar training, focus on safety and a great working environment full of dedicated people.